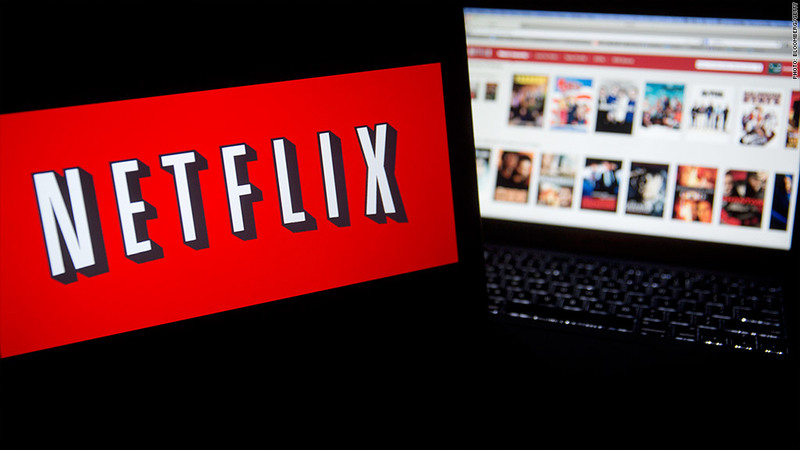 Netflix has reached a deal with Time Warner Cable to boost video-streaming speeds. Netflix is opening up its wallet once again to improve streaming speeds on one of the country's largest Internet providers. The online video company has reached a deal with Time Warner Cable (TWC) to connect directly to the telecom giant's network, rather than delivering its traffic through a third-party service. That should improve streaming quality for Netflix (NFLX) subscribers whose Internet service is provided by Time Warner Cable. TWC spokesman Bobby Amirshahi said Wednesday that the connection process should be completed by the end of this month. Netflix has already reached direct-connection agreements this year with Comcast (CMCSA), Verizon (VZ) and AT&T (T), but not without a lot of complaining. The company has been engaged in a war of words with the big Internet service providers over who should bear the cost of the connection upgrades needed to deliver Netflix's data-heavy content. Netflix argues that the broadband providers are responsible for delivering the high-speed service their customers have paid for. The streaming video company has accused them of shakedown tactics. The Internet companies counter that Netflix plays an outsized role in network congestion, accounting for around a third of data consumption online during peak hours, and Netflix should therefore help foot the bill for delivery. Netflix CEO Reed Hastings resumed the debate this week, writing in Wired that Internet users will "never realize broadband's potential if large ISPs erect a pay-to-play system that charges both the sender and receiver for the same content." Hastings has called on the Federal Communications Commission to ban ISPs from charging content providers like Netflix to connect to their networks. A number of big tech companies -- like Microsoft (MSFT), Apple (AAPL) and Google (GOOGL) -- already have similar direct-connection deals with the big ISPs. These arrangements "have been an essential part of the growth of the Internet for two decades," Comcast executive vice president David Cohen said earlier this year.